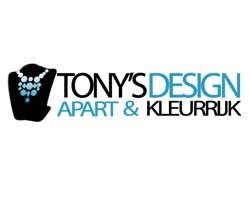 You can buy gift cheques at Tony’s design. You can see something nice but you are not sure if it is the taste of the person you want to give it to as a present. In that case buy a Tony’s design gift cheque. Tony’s design gift cheques are for € 7, 50 and € 15, 00. And the good thing is: they are always valid. When ordering, by using the code on the gift cheque the amount will be automatically discounted in your cart.